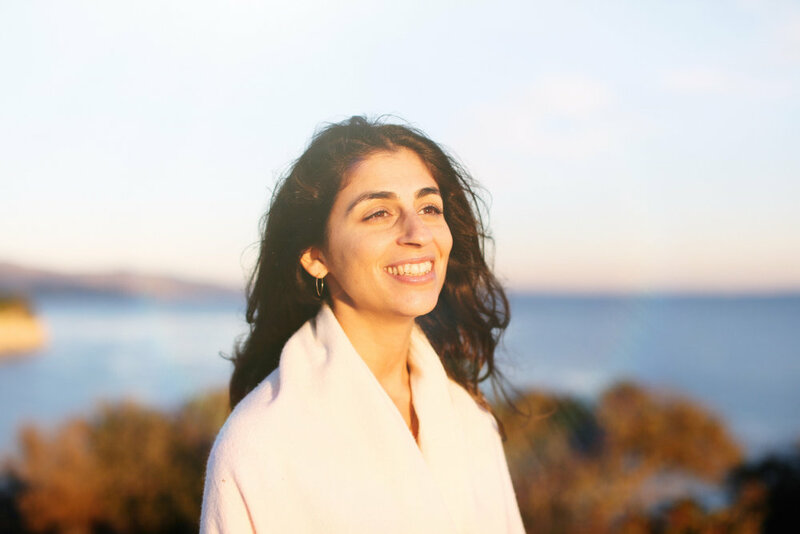 Leila was an accidental bodyworker; having met Yamuna Zake in 2001, she found herself jumping into a deep apprenticeship with the creator of Yamuna Body Rolling and Body Logic, both deep healing modalities for the body. Before long she was the senior practitioner in residence at Yamuna Studio in Manhattan. In 2005 she moved to London to open a private practice in bodywork. In 2008 she deepened her studies, traveling to Los Angeles to study with the Anusara Yoga community there. Leila has worked with hundreds of people to support and facilitate healing their bodies. These years of working one-on-one with people has brought her to an integral understanding of the enmeshment of body, psyche, and spirit, of the way that the subtle bodies feed the gross physical body, and that personal intention makes all the difference. Leila is also committed to the service of underprivileged communities; she has taught yoga to at-risk youth in LA's Gangland, to toddlers who have parents suffering from terminal illness, and is an Off the Mat and Into the World Yoga in Action Leader. Her mission is to serve people in opening to their authentic selves, through the lens of embodiment. She would like to hold the space for people to investigate themselves fearlessly; the goal being nothing more than a deeper and sweeter savouring of this Life.